At the AAPM&R Annual Assembly last month in New Orleans, the ABPMR hosted its first-ever "how to" session for attendees. 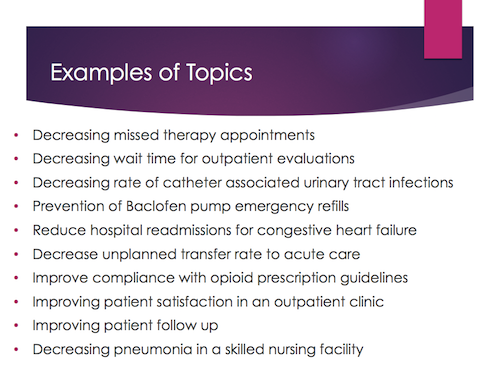 The session focused on the practice improvement project (PIP), or Part IV of the ABPMR MOC Program. 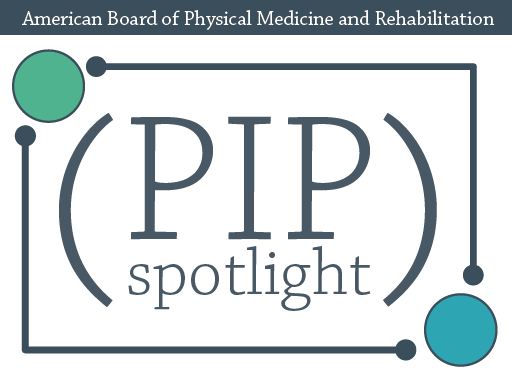 "We knew that despite our education efforts on the website and social media, ABPMR diplomates sometimes still struggled with where to start on their PIP," says Shelly Walker, ABPMR MOC Program Manager. "That's why our board directors wanted to lead this session — to present information and practical examples in an interactive workshop format." The session started with James Sliwa DO, chair of the ABPMR MOC Committee, explaining some of the philosophy and the board's intent for diplomates completing the PIP, as well as some example project topics. ABPMR board director Christopher Garrison MD then walked participants through two project examples in detail to show what steps the diplomate would take at each point in the project. The 90-minute session was punctuated often by valuable question-and-answer periods between the participants and speakers, with many participants asking specific questions about their own ideas, past projects, or challenges with practice setting. The session drew about 100 Annual Assembly attendees total, and feedback was overwhelmingly positive. Many diplomates stopped by the booth or talked with Drs Sliwa and Garrison in person; most said the session helped diplomates truly understand the PIP for the first time and listening to the examples and Q-and-A made them realize how straightforward and uncomplicated the process should be. The ABPMR plans to offer similar sessions at future meetings. Have an idea for a conference session the ABPMR should offer? Please contact the board office and let us know.